You can help street children of Kinshasa receive loving, quality care in a family-like setting, and provide hope for a better tomorrow within the DRC. By becoming a sponsor for a child, you are helping meet their most basic needs and give them hope for their future. Click here to find out more and connect with a child today. On November 8, 2013 an electrical fire destroyed the orphanage, leaving the 20 children and their caregivers homeless for several days. We desperately need your help to cover the cost of rebuilding on the property that we own so we can move out of the temporary house we are renting at the end of our six month lease. Although monetary donations are needed for the construction, if you would like to donate any individual items for refurnishing please contact us to coordinate. We have partnered with Cars4Causes to allow vehicle donations to be made to the EPH Foundation. 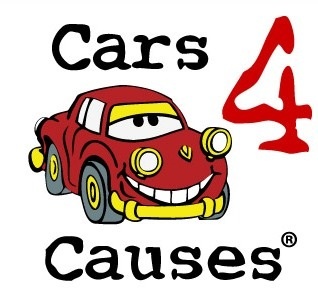 Cars4Causes takes care of the pick-up and sale of the vehicle. All proceeds go to the EPH Foundation and the donor receives tax credit for the donation. Please visit Cars4Causes to get started today. Friend us on , follow us on Twitter, and SHARE about the quality care we are providing for orphans in the DRC. It is very costly to run the orphanage and ensure that each child receives 3 meals a day and has the opportunity to go to school. We'd love for many people to partner with us to help share the financial burden. The more who get involved in supporting our work in the DRC, the lighter the load becomes on each individual. Help be a voice for the vulnerable children of the Congo. Read our reviews and contribute at Great Nonprofits so that others can see what we do! Located in the province of Kinsuka, Kinshasa DRC the orphanage always welcomes visitors. By purchasing the items listed in our Etsy shop you are supporting both the Congolese artisan who made it and was paid a fair wage for it, as well as the orphanage.